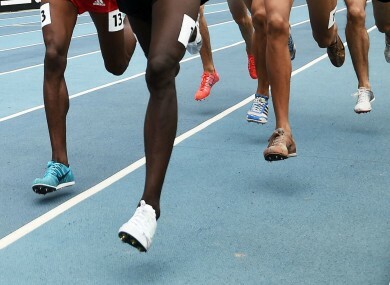 UK ANTI-DOPING (UKAD) says claims from two Kenyan doctors they gave performance-enhancing drugs to British athletes are of “grave concern” and has opened an investigation. The allegations were made by the medics as they were secretly filmed by The Sunday Times. In the footage the medics allegedly claim to have received payment in order to administer EPO – which boosts red blood cell production – to athletes from countries including Britain and Kenya. Results of blood tests and medical notes were provided by the doctors as evidence they had treated a British athlete for injury, the newspaper states. Although an associate of the doctors additionally alleged three British athletes were among those he had provided with performance-enhancing substances, The Sunday Times said he subsequently stressed he had lied over those claims and had encouraged the medics to do so as well for monetary gain. The doctors were reportedly unwilling to answer questions about what they had said on film when pressed on the subject by The Sunday Times. Responding to the allegations, UKAD chief executive Nicole Sapstead said: “UK Anti-Doping has reviewed the evidence presented to us by the Sunday Times and it is of grave concern and of significant interest. We have opened an investigation and are taking the necessary steps to corroborate the evidence and investigate it further. Email “Kenyan doctors claim they supplied British athletes with performance-enhancing drugs ”. Feedback on “Kenyan doctors claim they supplied British athletes with performance-enhancing drugs ”.